A small selection of world maps. We hope to expand this selection in the future. 1951 - GREAT BRITAIN. 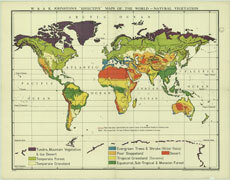 WAR OFFICE - The world on Aitoff's equal-area projection.